Business today relies on email. It is an essential part of almost any organization, and allows for easy, quick communication. 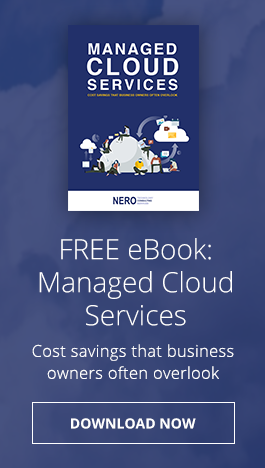 Nero Consulting’s Email Security solution gives you the best of email, but without the security headaches and spam annoyances that drag your business down. We offer feature-rich tools to compliment your Microsoft Office 365 email system to add real value to your company. Almost all spam and email threats can be blocked before they reach your network – reducing risk, freeing up network bandwidth and easing mail server load. Call us today to learn how you can enjoy your easiest email solution yet.